There are probably a thousand ways to earn money online. 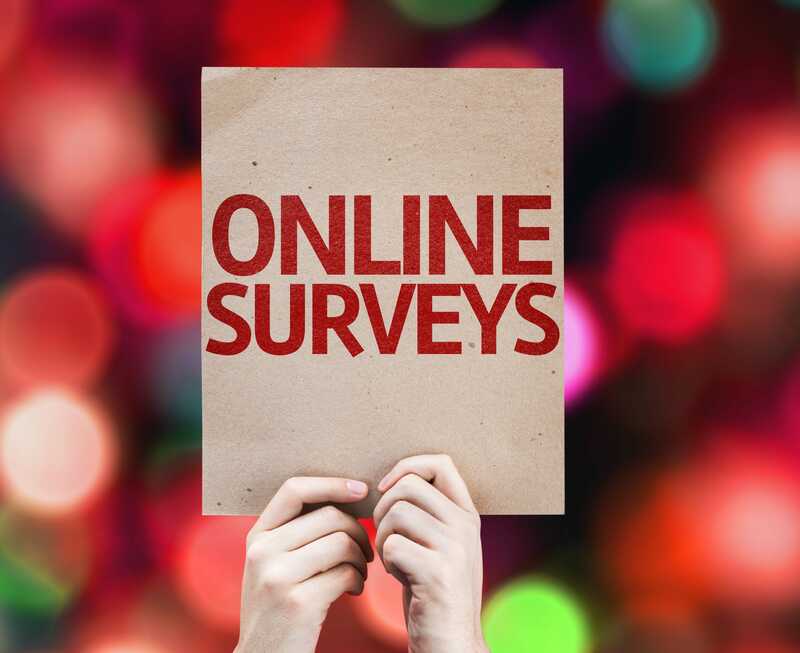 Out of those, one of the easiest ways to earn some extra cash online is to provide answers to online surveys, but the amount of money you can earn depends on the survey website you using. While some pay a good return of your time, others may end up paying you nothing. Yes, there are scam websites out there, be aware. In this Global Test Market Review, we will explore if the company is the one that pays good money for your time or it acts like a scam. Is it a good option for you to earn money in 2019? Is it better than other similar survey websites? We will find the answers to these and other similar questions in detail in this review. Be sure to also check out our 2019 Swagbucks review as they’re one of our top favorites right now. Global Test Market was launched in 1999 as an online survey panel making it one of the earliest such websites on the internet. It was formerly owned by Global Market Insite (GMI) but later was acquired by Lightspeed Research. It is a principal investment of WPP Plc which is known as the largest media and advertising agency in the world. So to begin with, the company is a genuine and well-established source of online income and not a scam, based on the history of companies running this project. It is also a well-reputed company all over the world, unlike some other survey websites that operate only in few countries. It allows users to register from 200 different countries as it works in partnership with almost 15 hundred companies from more than 60 countries. According to their statistics, Global Test Market has more than 5.5 million active registered users, a number that is still on the rise. One of the best things about Global Test Market is their simple and quick registration process. You can register with them by providing only your email and name, or directly through your Facebook or Twitter account. Is there any registration fees? No, there is no fee and no unnecessary personal information. Just click on the validation link sent to you immediately through email and you are good to go. Select surveys that fit your profile, fill them and get paid. To start with, you don’t have to worry about providing your personal information or credit card details, a common practice by scam websites to collect such information through their registration process. The most common surveys you may find on the website include movies, restaurants, automobiles, consumer products, current events and many other industries. The process is simple, different companies reach out to Global Test Market to collect customer feedback for a range of their products. These companies pay a good amount of money to Global Test Market which is then distributed among users who are contributing with their feedback. What is Good About Global Test Market? Let’s discuss what are the good features of Global Test Market before moving into things that you need to look out for. Easy to Understand. The point system offered by the company is really easy to understand. You can earn points, known as MarketPoints by filling out surveys that you can redeem for cash or tons of other benefits. Quick Payments. Users can choose between multiple payment options which include PayPal (the quickest, I recommend this method), checks and gift cards. Rewarding. In terms of points, the website is also very rewarding with surveys providing 35 to 250 points based on the level of complexity and the length. Even if you fail to qualify for the survey after an initial questionnaire, you still get 5 points. Sweepstakes. The website also offers sweepstakes entries for filling out different surveys that make people eligible for quarterly prizes or win grand prizes offered by the company after regular intervals of time. Sweepstakes are not available in every country so make sure to learn if it is available for your country. Referral Points. Users can also earn MarketPoints for referring friends and family. But you can earn the points only when the referred person fills out at least two surveys. What is Bad About Global Test Market? Not everything is as good as it seems until now. 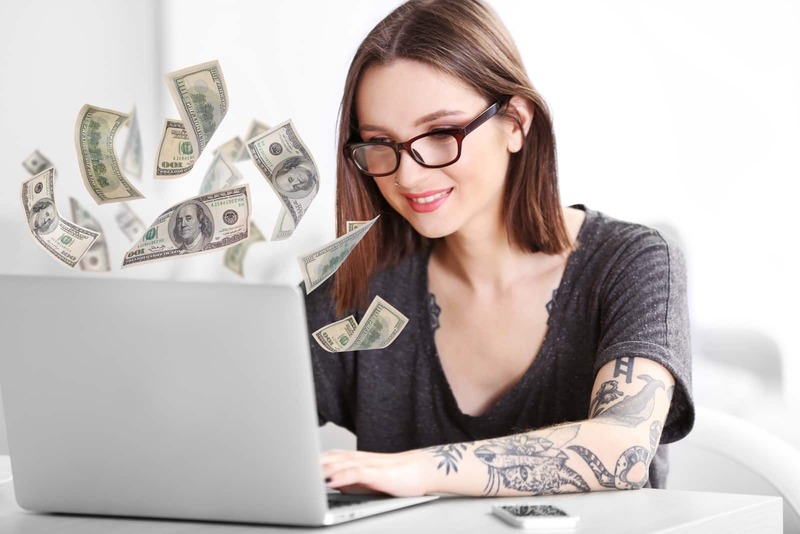 I know, we have learned the benefits and solid legit company background and their experience in the industry, but there are also some features – bad features – that you may look out for if you don’t want to slow your pace of earning. Not Able to Qualify. One of the most common issues is to qualify for the survey. You may have to spend 10 to 15 minutes to fill out initial questionnaire only to get a message that you are not qualified, which means your time is wasted. Even though it is a common issue but the process is pretty much same on all survey websites so we cannot blame Global Test Market for this. All survey websites work like this. They screen users to establish if they are from the demographic or target audience the company is looking for. The trick here is to be smart. Try the surveys that you think you can qualify easily. This can save a considerable amount of time and can speed up things for you. Wait for Till $50 or 1200 Points. You cannot cash out your earnings until you have collected 1100 points that are equal to $50. Account Suspension. It is also a common practice among survey websites to suspend accounts based on the false information provided in the user profile, but sometimes it may hurt profiles that are legitimate. The problem here is, survey websites forward survey to users based on their profiles matching their information with what the companies are looking for. For this reason, survey websites do not like the idea of tampered profiles to boost the survey invitations. The problem here is, if the account is suspended and you think the decision is not right, it may take forever to reach out the customer support and make them undo their actions. For a company dealing with more than 5.5 million users, in the case of account suspensions, you can simply say goodbye to your earnings. Payment Processing Time. The survey website takes almost 4 to 6 weeks for processing payments which I think is little more than other similar websites. No Other Earning Options. Other than taking surveys and referring friends, there are no more options to earn points or cash unlink some other survey websites that offer multiple options to earn money. The online feedback about Global test Market ranges from below average to above average. For example, at one review website about online surveys, Global test Market receives an aggregate score of 4.1 out of 5 from 121 different customers which is excellent for a survey website. On the other hand, it receives an aggregate feedback rating of less than 2.5 from 442 users at another review website and 2.3 out of 5 from 184 users on Reviewopedia. Suspension of the account once the users reached the minimum cashout points or cash which is from 1000 to 1200 points based on the county of registration. Some users claimed as soon as they reached the points to make their first payment transaction, their account was closed without any just reason. Lack of support is another common complaint. For some users, if you run into problems or account suspension, it is almost impossible to reach their customer support which is mostly unresponsive. In some cases, users had to do surveys for free to reach out to their support. Screening is another common issue with users complaining about surveys shutting them out after they spent a lot of time on the survey. For others, when they finish with the surveys, they are told that the survey quota is full, so no points for them. For some, it is very slow. For others, they are not paying enough for their time while some simply complain that they never received their money from them. Yes, there are, hundreds of them. From customers who have subscribed to the website, did surveys and redeemed their points into cash and other benefits without any issues. The problem here is, the complaints are little more than the success stories. Listed are some common features praised by users. According to few, they had no problem in receiving their checks. One user suggested that users should be patient as checks may take some time to reach them. She claimed that PayPal is a better and quicker option for cash out. For some, the website is easy to use and helped them with money. It is not going to make people rich but it helped users with some extra cash as well as stay at home moms to earn some money from home. The website is easy to explore and sign-up process is very simple. The layout of the website is clean and clear. Users are also happy about the number of surveys as they can do one survey after anther without a break to earn points quickly. Based on the monthly traffic and recent traffic trends, it is more than evident that Global Test Market is one the most popular survey websites on the internet. According to Alexa traffic rankings, the website is ranked among the top two thousand most visited websites in the world and top 1,700 most visited in the United States which is unusually high for a survey website. Even though the website is dropped in ranking in last 6 months, but it is still higher than most other survey websites. According to another similar traffic source – SimilarWeb – the website receives a monthly traffic of 14 million visits in June 2017, a significant increase from almost 10 million monthly visits in January 2017. The exceptional traffic rankings for Global Test Market reflect that the company not only enjoys a loyal user base but they are also expanding their reach and gaining popularity. Higher traffic rankings are also an indication of customer satisfaction. I mean, they must be doing something right to attract millions of visitors every month. I highly doubt that the website with fishy business practices can enjoy such high traffic and continuous growth in monthly visits. In simple words, when it comes to traffic and popularity, Global Test Market is at the top compared to other survey websites. There is no doubt Global Test Market is one of the most popular review websites in 2017. With more than 14 million visits a month, you must be doing something right to attract these many people to your website. It is owned by a renowned company which makes it a legit and trustworthy source to earn some cash in 2017. According to Global Test Market, the company has so far paid more than $32 million, a claim that is also backed by hundreds of success stories by their users spread all over the internet. The issue here is the number of complaints, as there are hundreds on different review websites. But again, if the company is dealing with five and a half million users, few hundred complaints make sense as some users have simply untrue and high expectations. My suggestion, try them out as they are free to sign-up. If you don’t like the experience, you can unsubscribe at any time. If you are looking for better options, then Vindale Research and Surveys For Money are the sites you can go for.